Nottingham’s reoccurring desire to drive change is evident in our range of businesses and industries which put our economy ahead of its time. Life sciences? We’ve been doing it since the 1950s. The digital economy? For us, it dates back to the 1970s. these businesses foster has given birth to a new generation of creative digital enterprises that rank Nottingham as a major centre for tech development and business growth. 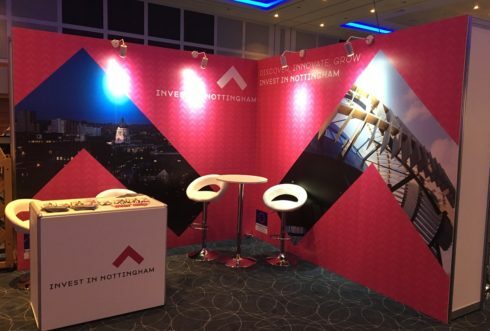 Throughout 2017, Invest In Nottingham, the inward investment agency for Nottingham and its surrounding county, will showcase to London why Nottingham is the place to live, work and do business, through a series of targeted events and activities that take place in the capital. Find out more about the events taking place this year. From access to finance, to tapping into a pool of talented workers, we understand what you need to make your business a success – and it's all here in Nottingham. We are one of the youngest cities in the UK. More than half of our residents are under 30, with many are attracted to the city for its affordable quality of life. Factor in two local world-classs universities, and you have a rich talent pool of 60,000 ambitious young people. Nottingham is one of the UK's six Science Cities, thanks to our innovative research and businesses in the ﬁeld, and it is increasingly popular with health-tech startups too. 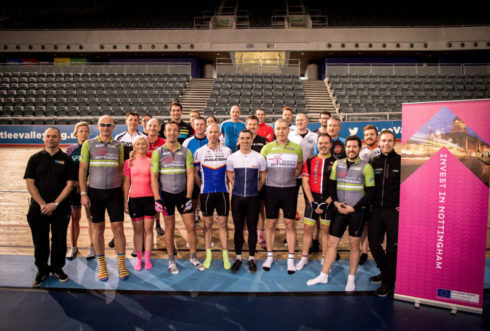 Large companies like Capital One, Experian, E. ON, TDX Group, Boots, Speedo, Paul Smith and MHR are based here and continue to grow - over 50 regional and national companies have chosen Nottingham as their headquarters. 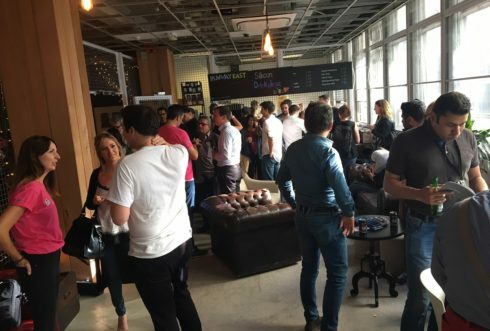 In the Creative Quarter digital tech startups and creative businesses are sharing knowledge and opportunities, while co-working spaces can be found at Antenna, Minor Oak and the University of Nottingham Innovation Park. A £2 million data centre has been opened by Space Data Centres Ltd, providing a dedicated space for companies to store their IT infrastructure. Blenheim Chalcot has opened a new hub for digital tech businesses in the city centre - Accelerate Places. Demand for space is so high that expansion into a neighbouring building has been announced. The fund also co-sponsored Tech Nottingham’s Hack24 event for coders. Discover a city of entrepreneurs and innovation. Nottingham has a long history of blazing a trail, from the discovery of Ibuprofen, the MRI scanner and the Speedo RZR swimsuit to HP Sauce. 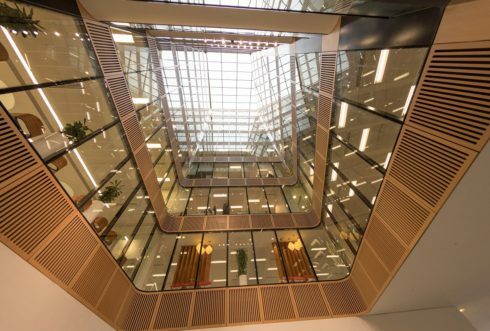 Nottingham is home to top-class companies from blue-chip HQs like Boots, Experian and Capital One, to waves of upcoming innovative creative and technology firms at BioCity and in the Creative Quarter that offer real opportunities for career progression. Our tram network serves 30 of the largest Nottingham employers and we have a multi-award winning bus network. Nottingham's travel to work times are among the shortest in the UK. Nottingham has a history of breakthrough discoveries and continues to be a focus for new scientific thought. It is this heritage that has created one of the fastest growing life science clusters in the UK. The city employs over 38,000 people across 14,000 life science and healthcare related companies. 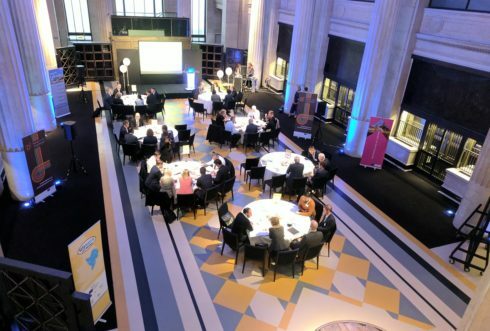 Medilink East Midlands is the Nottingham-based life sciences and healthcare association with a network of more than 3,400 contacts in over 600 organisations, from multinationals to start-ups, as well as the NHS and universities around the world. We’re home to the country’s first Enterprise Zone for the sector, as well as one of Europe’s largest life science business incubators, BioCity. A city with creativity and innovation at its core, Nottingham has become a centre for digital media and creative industries. Establishment of the city’s Creative Quarter has seen new wave of design and development talent in the city, playing host to the UK’s only national videogame arcade, one of the few Dolby Digital studios outside London, and the city’s own television channel, alongside design agencies, apps developers and digital production houses. 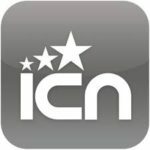 Over 3,400 companies trail blaze in digital, publishing, film, programming and games development. 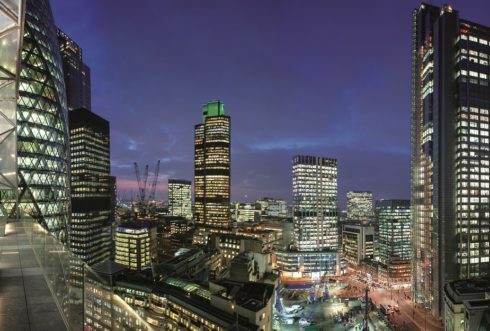 The creative and digital sector employs close to 34,000 people in the city. The average digital salary in Nottingham is just over £44,000. Nottingham is home to two centres to foster emerging businesses – Antenna, a dedicated digital media centre, and the Broadway Media Centre, a hub for creative talents. The city’s culture of networking and collaboration can support your business, combined with production, exhibition and training spaces for film and digital media specialists. 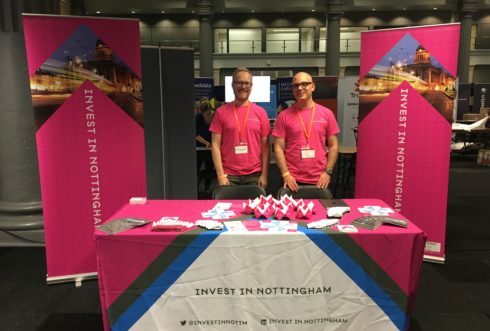 There’s a vast array of opportunities for tech start-ups in Nottingham due to the presence of major corporates, new firms with great ideas, its Creative Quarter and world-class two universities. Talent is easy to source, the city’s faculties and cultural vibe matches their outlook on life, and the availability of locations at comparatively low cost. Co-working office space Accelerate Nottingham specialises in creating working environments suitable for growing tech companies. 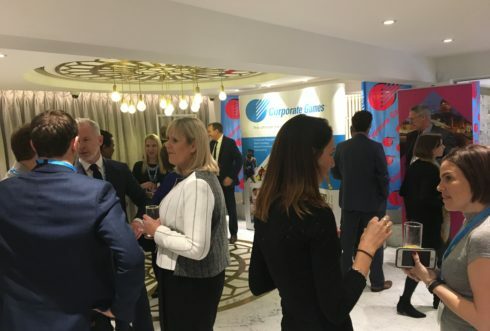 It combines attractive facilities with great connectivity and support services, tailored to disruptive businesses seeking to transform their markets. Hundreds of business events and meet-ups take place in the city. Notable tech meet-ups include Nott Tuesday, Tech Nottingham and Women in Tech. Nottingham is the financial centre of the East Midlands. 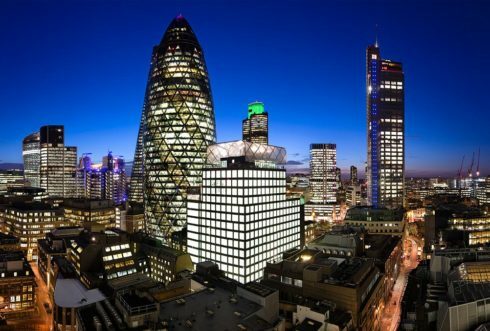 The finance and business services sector employs over 75,000 people in the city, and contributes £4 billion to the local economy. Nottingham is home to a fast-growing niche financial technology sector of businesses using data analytics to drive new insight for business and win new clients across the world. With a highly-skilled workforce, lower than average office costs (£19.5sq/ft compared to London’s £87.5sq/ft) and salary costs, an established business community and excellent connectivity to national and international markets, it is clear why big-name businesses have chosen Nottingham as a base for their operations. The average house price in Nottingham is almost £450,000 less than in London - £136,246 in Nottingham and £582,816 in London. Residential rental prices in Nottingham are 68.85% lower than in London. Property here ranges from Edwardian apartments, to Gothic Victorian mansions in the Park Estate, modern riverside apartments overlooking the River Trent, traditional detached family homes and loft conversions in the city’s historic Lace Market. A recent ‘salary stretcher’ index compiled by UK job site City Calling has revealed that Nottingham ranks number one when it comes to typical annual savings, with the typical worker saving, on average, £6000 more than those in London. The average salary for someone working in a digital role in the city for example is just over £40,000. The recent Tech Nation 2017 report reported that 89% of Nottingham residents rate their quality of life as good, compared to London where just 59% of residents rated their quality of life as good. Nottingham is a modern city of contrasts. From culture, shopping and dining out in this thriving city to historic buildings and beautiful countryside, you can make the life what you want in Nottingham. Our restaurant and bar scene is renowned across the UK and it has recently been confirmed that our independent restaurant and bar scene has the third biggest growth in the UK. We've great venues from Jamie’s Italian to the award-winning World Service and Michelin-starred Sat Bains, as well as pavement cafes and hidden speakeasy bars. Your evening awaits - with bars stretching into the city’s cave networks, one of the oldest pubs in the world by Nottingham Castle, a former Victorian music hall and old warehouses and lace factories converted into music and arts venues, there’s always something new to discover. Nottingham is in the top 30 retail rankings in Europe and is the only city in the East Midlands to be in the top 50. Our retail offer includes everything from designer stores to high street chains such as such as Paul Smith, Hugo Boss, Joules, Ted Baker, L’Occitane, Jo Malone, Vivienne Westwood and Jack Wills, and vintage emporiums. For those who want to escape the city, historic villages, mansions and stunning countryside are just a short journey away – access the legendary Sherwood Forest or the breathtaking Peak District. And if sport is your thing, you won’t be short of choice - Nottingham is Visit England’s Home of Sport. Home to two football clubs, a National Watersports Centre, the National Ice Centre, many country parks and sports centres, and the world-famous Trent Bridge cricket ground, which hosts the Ashes, they'll always be an event for you to attend or a club for you to join. Nottingham was named the UK’s cleanest city in the Clean Britain Awards in 2014. It is one of the safest cities to live in has also won been awarded Purple Flag status, four years running, recognising the city as a safe and enjoyable night out. You can afford to enjoy it all – with the lower cost of living in Nottingham, salaries can remain competitive while you can enjoy more disposable income. 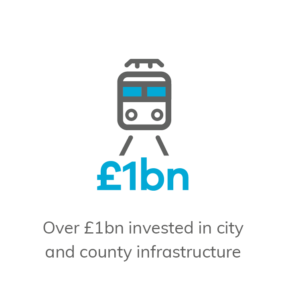 Over £800 million has been invested into Nottingham's transport infrastructure over the past 3 years and the size of the Nottingham Tram network has tripled. 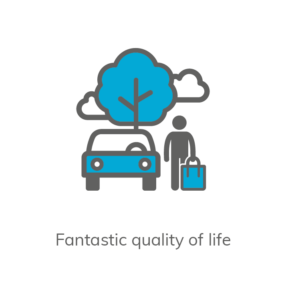 We’ve also an award-winning public transport network and miles of cycle paths for you to enjoy in your spare time or use for your commute. Nottingham’s travel to work times are some of the shorted in the UK, and we now have a new refurbished train station, with London under two hours away on the train. 80% of Nottingham city primary pupils (up 9% since 2012) and 84% of Nottingham city secondary pupils (up 18% since 2012) are taught in a good or outstanding school in 2016. More than nine out of ten parents have secured a place at their first preferred primary school for their children in September 2017.